As physician-in-chief, Lawrence Smith, MD, MACP, is Northwell Health's senior physician on all clinical issues. He previously served as Northwell’s chief medical officer. Dr. Smith is the founding dean of the Zucker School of Medicine, which received full accreditation by the Liaison Committee on Medical Education and whose first class graduated in May 2015. Dr. Smith joined Northwell in May 2005 as chief academic officer and senior vice president of academic affairs. In this capacity, Dr. Smith strengthened Northwell’s graduate medical education programs and expanded medical school affiliations, significantly enhancing Northwell’s ability to recruit medical students and residents. In addition, Dr. Smith was responsible for overseeing Northwell’s medical student education programs and academic faculty appointments. He was also accountable for establishing close relationships with doctors and hospitals throughout Northwell that enhanced its partnerships with staff and community-based physicians and improved physician recruitment efforts. Before joining Northwell, Dr. Smith was at the Mount Sinai School of Medicine in Manhattan, where he served as dean and chair of the Department of Medical Education, founder and director of the school’s Institute for Medical Education, professor of medicine and an attending physician. He joined the faculty of the Mount Sinai School of Medicine in 1994 as vice chair of the Department of Medicine and residency program director. Prior to his career at the Mount Sinai School of Medicine, Dr. Smith practiced general medicine at Stony Brook University Hospital, where he became a full-time faculty member, director of education and program director of the hospital’s residency program in internal medicine. He began his career practicing general internal medicine in Huntington. Dr. Smith has held senior leadership positions in national societies for medical education and residency training, authored numerous peer-reviewed publications in the area of medical education and has received many awards and honors from national and international organizations. He is a member of the Board of Visitors of Fordham College. In 2011, he was elected to Mastership of the American College of Physicians. Dr. Smith was inducted into the Gold Humanism Honor Society in 2014, invited to join the Arnold P. Gold Foundation Board of Trustees in 2017 and made chair of the Gold Foundation’s Program Committee in 2018. Dr. Smith serves on the Executive Committee and as treasurer for the Associated Medical Schools of New York. 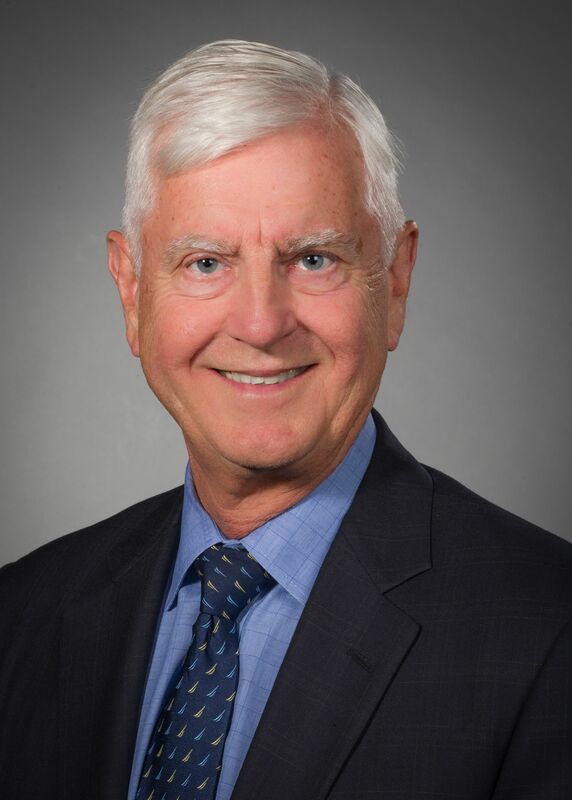 He serves as chair of the National Academy of Sciences Roundtable on Health Literacy and is a member of the NYS Board of Education Advisory Committee on Long-Term Clinical Clerkships and on the University of Rochester’s Board of Trustees Advisory Council. He is a former regent of the American College of Physicians, former member-at-large of the National Board of Medical Examiners and a former member of the board of directors of the American Board of Internal Medicine. Dr. Smith is the first recipient of the Lawrence Scherr, MD, Professorship of Medicine at the Donald and Barbara Zucker School of Medicine at Hofstra/Northwell. He was the recipient of the Solomon A. Berson Alumni Achievement Award in Health Science by New York University School of Medicine. Dr. Smith earned a Bachelor of Science in physics from Fordham University and a medical degree from New York University School of Medicine. His residency in internal medicine at Strong Memorial Hospital was followed by military service as a captain in the Army Medical Corps at Fitzsimmons Army Medical Center in Denver. Northwell's Physician-in-Chief Lawrence Smith opines about the physician shortage and it's future impact on health care.